This option allows import of HTML files generated by SportIdent OE/MT application. The race view will not be avaliable as the HTML splits time files do not contain start times by default. There are many variations of the HTML output for different program versions and languages. For this reason the upload is not as reliable as other formats. Create the HTML output file in OE/MT software as described below. 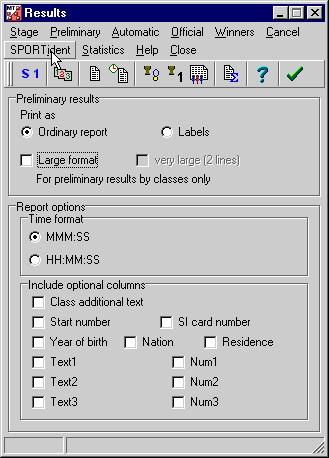 Note that the exact menu options may vary slightly depending on the version of the software used. 1. 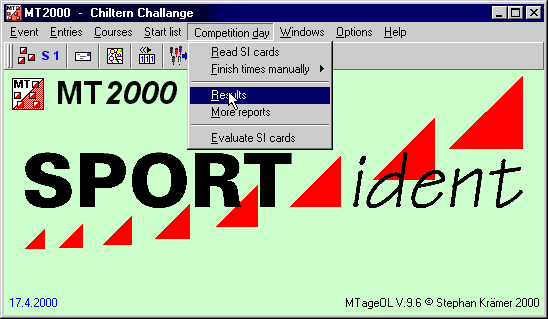 Run SportIdent OE2000 / MT2000, Use the select the Competition day/Results menu option. 2. Click SportIdent in the menu in the Results window shown below. 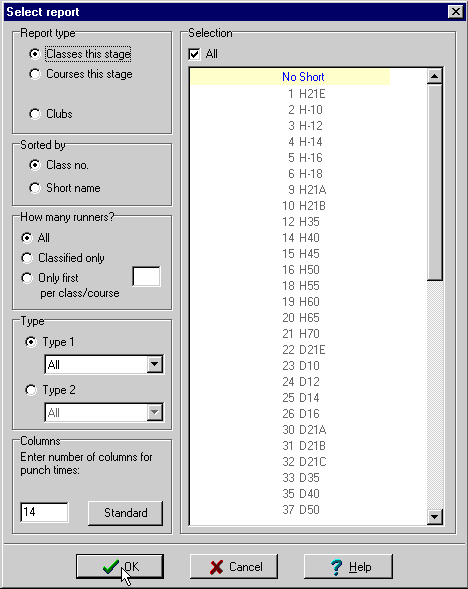 If you are using MT2000, make sure that the right stage is selected. 3. Select all the classes . 4. Click Publish to output the results. 5. Finally save the output file. Make sure that HTML format is selected. Specify a file name and create the file by pressing OK.